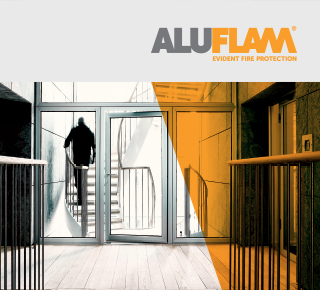 We at Aluflam are experts on fire-rated glazing systems made with glass and aluminium. We have many years of experience in developing quality products that conform to both design and aesthetic standards. Our products are extensively tested by leading fire-resistance rating institutions, and we never compromise on quality. Aluflam supplies products for the basement to the attic, from E30 to EI120. Become an authorized Aluflam Fabricator and produce your own approved fire-rated glazing systems. Fill in the form and we will get back to you. Are you an architect, consultant or contractor? Get access to drawings, fire certificates, specifications and information about our latest products. At Aluflam, we are experts in providing fire protection solutions in glass and aluminium constructions systems. We develop and manufacture products in our own factories. This means that there is not far from conceptualization stage to development and production of new solutions.